Veteran educationist Mrs. Neeru Tyagi (a certified Innovative Teacher experienced in teaching in schools following different methodologies, B.Ed and Diploma holder in Montessori Education and Mainstreaming Children with Special Needs) is currently serving as the head of school at Bella Mente Pre School & Daycare – a preschool in the heart of Gurgaon with a contemporary outlook and an equally modern infrastructure to go along. SchoolWiser caught up with Mrs. Tyagi to get some valuable tips on what parents should look for in a preschool. exclaimed Mrs. Tyagi and continued “There used to barely be a handful of good pre schools a decade back and now to be in a city with a host of pre school options is a boon for parents, but that brings with it the paradox of choice or shall I say over choice”. A pre school is a child’s very first step into the world of more formal and structured environment for learning and it is natural for a parent to get anxious when making a choice for her precious little one. So, let’s see Mrs. Tyagi’s top 7 tips for parents on deciding a better pre-school. 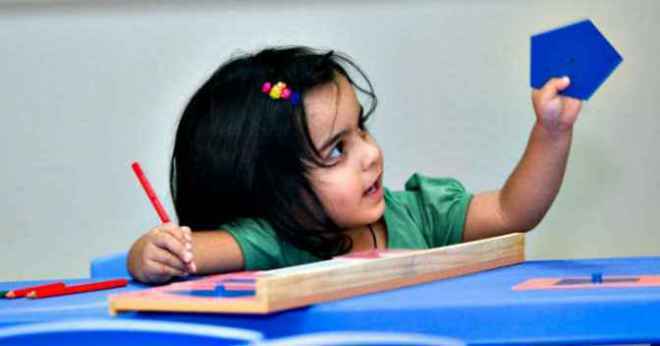 Tip 1: Age of 1 ½ - 2 years is when a child is ready for preschool activities, while some preschools in gurgaon may be willing to accept even younger children in pre school, Mrs. Tyagi strongly recommends to avoid starting any earlier. This age is appropriate for most children to begin working on their Gross and Fine Motor Development, Language and life skills aimed at making them independent of themselves. Tip 2: When you decide to go looking for a preschool, make sure the travel time is the least, unless for a specific reason as travelling long distances tires the child esp. this age group even before they reach the school. Tip 3: ALWAYS tour your shortlisted pre-school. A good school has nothing to hide and they’d not only be welcoming but in fact would encourage you to look around and witness the school in action. Keep your eyes and ears open and be at your enquiring best when on the tour. That’s your window into the real working of the pre school. But always remember to remain polite to get the most useful information. Tip 4: Use your observation skills as much as enquiry skills. Once there, have a look at the infrastructure of the school. Does it look safe and hygienic? In most cases if the school looks safe and hygienic to you then it would be and vice versa. Go on and have a look around the classroom. Does it look colourful, warm and inviting? You know your child best, evaluate if the space looks like where your child would like to spend a few hours every day. We were quite impressed with Bella Mente gurgaon itself that boasts of a colourful and vibrant building with a very lively environment. You can almost feel the excitement in the air as soon as you enter its pre school campus. Checkout some pictures here to see what we are talking about. Tip 5: Enquire about the staff. Is the teaching staff professionally qualified, cheerful and co-operative? Is the support staff well-mannered and warm as your child will need them throughout the day. Alright, so you are a parent who has already taken the plunge and sought admission in a pre-school, but are still anxious on whether you made the right choice? Mrs. Tyagi also has some tips for you on things to look for to comfort yourself that your child is in the right place. Tip 6: How does your child feel in the school? Does he feel welcome or neglected? Is due attention being paid to him or not? How much effort is being put in to make your child settle in the class? Normally, a child takes a week, two at most, to settle in. After a week; observe how settled is your child? By now, he should be ready to go to the school. After a few more days, look for changes in your child. Is he more active now? Is he more independent now? Is he acquiring some vocabulary? Is there some improvement in his gross and fine motor skills? Has he learned the social skills of sharing, waiting for turns and listening to others? If you find this happening, your child is in safe hands and in right place. If not, firstly do not panic and no this does not mean to instantly consider changing the preschool, but consider this as a cue to have a discussion with the teachers and other childcare staff and allow a few more weeks to work with them and observe. Tip 7: Compare your child’s development to others only if you must, but always keeping his/her age in mind. Do not expect him/her to start reading and writing at this age. The preschool activities aims should be – the child is able to move around without bumping into objects, he is able to climb the stairs and jump small obstacles, open and close his lunch box and water bottle and able to take care of his personal belongings. If your child is learning to be independent, asking you more questions and is able to communicate without any inhibitions, is happy going to school and misses it even a bit on a holiday, he is at the right place. Leave the rest of it for formal K-12 schools. Mrs. Tyagi enjoys interacting with parents and sharing her experience and counselling them on various matters related to early childhood care and education. If you have a comment to share or have any further questions on this topic, you may leave a comment below or contact Mrs. Tyagi here. PLEASE NOTE: SchoolWiser does not endorse or recommend any specific school, preschool, playschool or daycare. SchoolWiser’s role remains strictly informational.